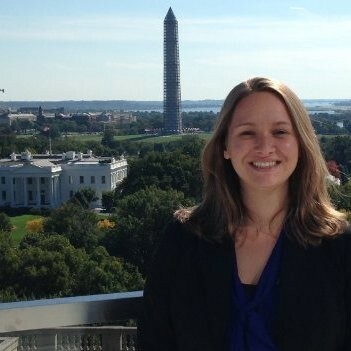 Katherine Boyce is the Associate Director of the Meridian Center for Diplomatic Engagement. In this capacity, she designs and implements programs to strengthen the foreign diplomatic corps in Washington and build relationships among the diplomatic corps, American policymakers and the private sector. Prior to joining Meridian in August 2018, she coordinated international exchange programming at the National Conference of State Legislatures, connecting American state legislators with their counterparts abroad and implementing capacity building programs for foreign legislatures. From 2010-2016, Ms. Boyce worked for Search for Common Ground, a global conflict resolution organization, in their Track II Mediation Unit focusing on US-Iran, Syria, and Western Sahara. She designed and coordinated cross-cultural dialogues, people-to-people exchanges, high-level working groups and capacity building on a range of issues including nuclear nonproliferation, religious engagement, program management and countering narcotics. Ms. Boyce graduated from Georgetown University and holds a B.S. in Foreign Service from the Walsh School of Foreign Service.